APA awarded three Recertification Credit Hours (RCHs) to all members in good standing. 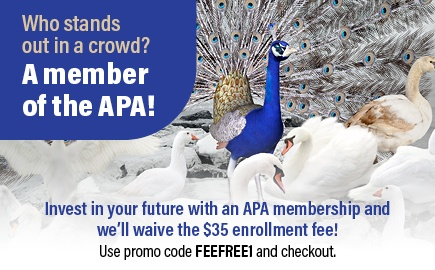 APA continues this benefit for members upon completion of their membership year based on their anniversary date. APA maintained a membership retention rate of 80%, which is in line with association industry benchmarks. APA membership remains strong with 20,227 members as of December 2016. A total of 766 members volunteered to serve on various APA committees, task forces, and boards, contributing to the leadership of the Association while honing their professional knowledge. The Certified Payroll Professional (CPP) designation was earned by 985 individuals during 2016. As of January 2017, 11,400 payroll professionals hold the CPP designation. APA's Fundamental Payroll Certification (FPC) exam was successfully completed by 1,505 payroll practitioners during 2016. As of January 2017, 6,500 individuals hold the FPC designation. APA delivered a record 3,955 certification exams in 2016. A total of 1,862 candidates sat for the CPP exam; 2,113 candidates sat for the FPC exam. APA has 131 affiliated local chapters. They reaffiliated for 2017 under the new Chapter Guidelines. The newest chapters are: Chippewa Valley Chapter in Eau Claire, WI; Kern County Chapter in Bakersfield, CA; and Central Mississippi Chapter in Jackson, MS.
APA's Chapter Leadership Summit (CLS) was held in October 2016 at MEET Las Vegas (sponsored by Global Cash Card). Through 1Â½ days of general sessions and workshops, 145 local chapter leaders gained the guidance needed to maintain successful chapters. In October 2016 at the CLS, APA launched the Chapter Blog. More than 100 chapter members subscribe to the blog and receive notifications of the latest news and guidance for operating their chapters. For the fall 2016 and spring 2017 certification testing windows, local chapters hosted a total of 125 CPP and FPC Study Groups. Some chapters combine their CPP and FPC sessions into one study group. For National Payroll Week 2016, APA local chapters submitted 383 entries for the eight NPW chapter contests. The daily payroll ListServ grew by 3% to 9,462 members, representing 47% of the total APA membership. This is APA's oldest internet-based offering and it maintains popularity among members. APA had 361 educational offerings in 2016, covering 1,010 training days, encompassing 67 different programs or delivery methods, and enrolling more than 68,850 participants. In addition to conducting APA's nationwide course offerings, APA's National Speakers Bureau members presented 72 additional educational programs, consisting of 33 chapter meetings, 6 chapter one-day events, and 5 user-group meetings. Over the past year, APA has presented 33 in-house programs of customized training to more than 600 payroll professionals. The Global Payroll Management Institute (GPMI) had 30 educational offerings in 2016, covering 41 training days, encompassing 19 programs presented through various delivery methods, and enrolling more than 4,890 participants. GPMI has provided country-specific global payroll training covering a growing number of locations, including China, Hong Kong, Japan, Singapore, India, Germany, France, Belgium, Poland, Russia, Kazakhstan, Ukraine, United Kingdom, Ireland, and Mexico. APA teamed with U.S. Citizenship and Immigration Services to present the webinar, "A New Form I-9 is Coming: Make Sure You're Ready." APA's most popular training program, Preparing for Year-End and 2017, was offered in more than 64 one-day seminars and 15 webinars attended by over 4,800 participants. In addition, 14 more Year-End classes were presented as part of the in-house program. APA's 34th Annual Congress, featuring more than 170 workshops and 108 exhibitors, recorded attendance exceeding 1,900. GPMI's first annual Global Payroll Management Forum in 2016, a subset of APA's Annual Congress, featured 24 global workshops and nine exhibitors in the Global Pavilion. The 2016 Strategic Leadership Certificate Program, offered three times nationwide, awarded 28 certificates to course participants. The updated Global Payroll Management Certificate Program, cobranded with GPMI and offered four times nationwide, had 65 participants in 2016. The 30th Annual Educational Institutions Payroll Conference, held in October 2016 in Tucson, AZ, was attended by 125 participants. The 3Â½-day curriculum was planned by the Strategic Payroll Leadership Task Force's Educational Institutions Subcommittee. APA's 13th Annual Capital Summit was held in March 2017 in Washington, D.C., with 128 attendees. Educational presentations focused on developing payroll-related legislative and regulatory issues. The Education and Public Relations teams jointly presented the webinar, Money Matters National Education Day 101: Audience Engagement to more than 180 NPW volunteer educators. More than 6,130 participants registered for five sponsored webinars covering topics ranging from paycards to workforce management. The Congress app at the 2016 Annual Congress was used by 80% of attendees, representing a 9.7% increase in users compared to 2015. The average use duration increased by 16%. Membership revenue accounted for only 20% of total APA operating revenue during 2016. By generating most of its revenue from other sources, APA can keep its membership dues and related costs at a reasonable level. APA's net assets increased by 3.3% in 2016, which enabled the association to make investments in additional educational programs and expand membership benefits. Notes payable was reduced by 7.4% and interest expense related to loans decreased by 5.12% in 2016, due to debt repayment. Investment assets increased by 10.8% in 2016 through investing a portion of the association's cash reserves in short-term investments. Certification-related revenues increased by 3.87% in 2016. During 2016, APA's Vendor Relations team created new relationships with 24 companies that were not previously APA advertisers, sponsors, or supporters, generating new revenue for the association. Congress Exhibit Hall revenue in 2016 surpassed 2015's total by 18%, while Congress 2016 Expo sponsorship sales revenue surpassed 2015's total by 2%. APA website 2016 advertising sales revenue exceeded 2015's total by 49%. APA's specialty seminar sponsorship revenue increased by 24% in 2016 compared to the previous year. For the first time, Payroll Issues for Multi-State Employers was sponsored (by Xerox, now Conduent). MEET Las Vegas, APA's unique meeting venue and home of the payroll learning center, celebrated seven years in operation on March 16, 2017. During 2016, MEET took in record revenue and rebranded its website and image. MEET Las Vegas won first place honors in Smart Meeting's Smart Stars contest as Best Special Event Venue. APA went live and is fine-tuning its new enterprise-wide software application, which provides an improved association membership and customer relationship management system, resulting in enhanced services to our members and customers. APA implemented a new payroll, timekeeping, and HRIS platform, providing greater efficiencies in serving our internal customers, our staff. For the fifth year in a row, APA was named one of the "Top Workplaces in San Antonio" in 2016 by the San Antonio Express-News. Throughout 2016 and into 2017, APA's Government Relations Task Force (GRTF) Payroll Card Subcommittee lobbied legislatures and departments of labor in seven states (CT, IA, MA, NY, PA, VA and WV) in favor of reasonable payroll card regulation. In January 2017, APA Government Relations renewed its position on the steering committee of the Mobile Workforce Coalition, a group seeking passage of the Mobile Workforce State Tax Simplification Act of 2017 (HR1393/S540). During 2016, the GRTF Immigration Subcommittee submitted comments to U.S. Citizenship and Immigration Services regarding changes to Form I-9 and its instructions. In December 2016, the GRTF Child Support and Other Garnishments Subcommittee submitted comments to the federal Office of Child Support Enforcement regarding proposed changes to the Income Withholding for Support Order Form and Instructions. In April 2016, the GRTF IRS Issues Subcommittee submitted comments to the Equal Employment Opportunity Commission regarding the administrative burden imposed by requiring reporting of pay data on the EEO-1 Report. In September 2016, the GRTF Retirement Accounts Subcommittee submitted comments to the U.S. Department of Labor Employee Benefits Security Administration regarding a safe harbor under ERISA and the role of state political subdivisions. Former APA President and current Director Emily Rook, CPP, continued to chair the Employer Information and Burden Reduction Subgroup on IRPAC, the IRS's Information Reporting Program Advisory Committee. APA President Jim Paille, CPP, was selected to represent APA on IRPAC in January 2017. APA member Stephanie Salavejus, CPP, was selected to represent APA on IRSAC, the IRS Advisory Council, and on the Strategic Threat Assessment and Response Work Group of the IRS Security Summit. APA member Stephanie McAtee, CPP, was selected to represent APA on the Information Sharing Work Group of the IRS Security Summit. APA members Corrinne Flores; Beverly Wooten, CPP; and Jerry Langer, Esq., represented APA on a child support work group organized by the Texas Office of the Attorney General. In February 2017, the GRTF IRS Issues Subcommittee urged Congress to restore funding to the Internal Revenue Service so that the Service may undertake its mission to its fullest capability. In the spring of 2017, APA launched Payroll Source Plus, an online payroll compliance and research library, replacing the Research Ready CD. Content is updated throughout the year, for all four texts including The Payroll Source®, and through the PayState Update e-newsletter. The subscription service is accessible on any computer or mobile device. 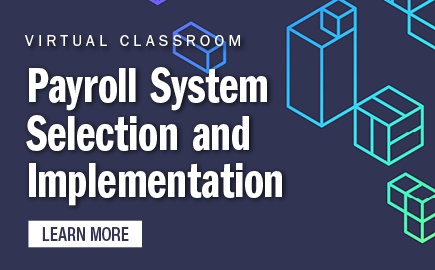 In addition, APA debuted The Payroll Source® Online, which offers two versions of the popular text: one that is updated throughout the year and the study guide version used to prepare for the CPP exam. Global Payroll, the flagship digital publication of the Global Payroll Management Institute, grew to nearly 7,800 subscribers from more than 90 countries. Each issue of the monthly e-magazine is enhanced with video components. APA's Guide to Global Payroll Management was offered as a free ebook to APA members and GPMI subscribers through Workday's sponsorship. The Guide to Successful Electronic Payments was made available as a free ebook to APA members in 2016 through rapid! PayCard's sponsorship. The 2015 edition of APA's Survey of Salaries and the Payroll Profession was provided as a free ebook to APA members. The 2017 edition of the biennial survey is scheduled for publication in the fall of 2017. Understanding Your Pay was offered in 2016 as a free digital publication to both APA members and the general public through Global Cash Card's sponsorship. The ebook, APA's Top Payroll Questions and Answers for 2016, published in January 2017, is offered free to APA members through Conduent's sponsorship. APA's publications team continued to provide members with timely notice of important legal, legislative, and regulatory payroll developments through compliance updates by email, website, and video reports. Four more members were added to PAYTECH's Board of Contributing Writers in 2017, bringing even more expertise and diverse topics to the membership magazine. Congress Today, the daily newspaper of APA's Annual Congress, was recognized with a Second Place win in the 2016 International Association of Exhibitions & Events (IAEE) Art of the Show competition. Since Congress 2016, APA hosted eight Twitter chats reaching more than 1,000 Twitter users and garnering more than 2,000 tweets using the chat hashtag #paynews. APA's monthly Twitter chats address relevant payroll and career development issues. The Global Payroll Management Institute actively engages payroll professionals around the world through social media. GPMI has subscribers from 58 countries in its LinkedIn group and a growing number of followers on Twitter. APA's Compliance TV was delivered monthly to members through PAYTECHonline. Compliance TV is a video series of payroll and AP compliance news and hot topics. The 12 videos created to date have received more than 5,100 views. 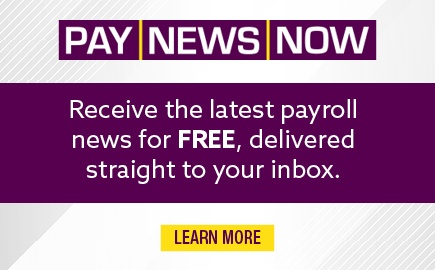 APA's video news network, Pay News Now, continues to be a popular way to receive payroll updates. The website (PayNewsNow.com) currently has more than 1,755 subscribers (both APA members and nonmembers). APA contributed articles to each edition of the SSA/IRS Reporter, the quarterly publication for U.S. employers and tax professionals that is posted on the IRS website. Each issue reaches an estimated 6 million readers. The Global Payroll Management Institute exhibited for the first time at the HR Technology Conference and Exhibition in Chicago during October 2016. During National Payroll Week 2016, more than 280 APA member volunteers taught paycheck basics to teens across the nation on the 11th annual Money Matters National Education Day. The number of "likes" to APA's Facebook page grew by 32% since 2015. More than 3,175 individuals currently "like" the APA Facebook page dedicated to NPW. NPW 2016 social media messaging in total received 1,060,995 impressions, an increase of 22%. A total of 73 top businesses signed up as NPW 2016 supporters to promote National Payroll Week to their employees. Supporters included the Kansas City Royals and T-Mobile. More than 27,000 individuals participated in the NPW 2016 "Getting Paid In America" online survey. The survey results, which are an important research tool, were reported by leading media including MarketWatch and Yahoo! APA's Board of Advisors LinkedIn subgroups grew to nearly 1,000 members in 2016. On June 15-18, 2016, APA President Jim Paille, CPP, and Dan Maddux represented APA at the Canadian Payroll Association's (CPA) annual conference and participated in the International Panel discussion. APA continued to partner with Visa to support the APA Visa® Paycard Portal®, a premier employer and employee resource on payroll cards. Sponsorship revenue for the Portal increased by 7% in 2016 over 2015. APA continued to partner with Global Cash Card to provide Payroll Education Grants, in addition to grants provided by APA. APA continued its partnership with Jobing.com, which provides an online Job Board on the APA website, along with other free resources to members. There are currently more than 1,500 subscribers. APA continued its partnership with Robert Half International/Accountemps, which ensures that APA's online Career Center stays relevant and up-to-date throughout the year. 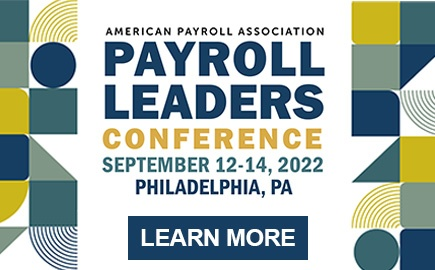 APA continued its longstanding partnership with ADP, which is the sole Diamond Sponsor of National Payroll Week and the exclusive sponsor of the Pre-Congress program at APA's Annual Congress.